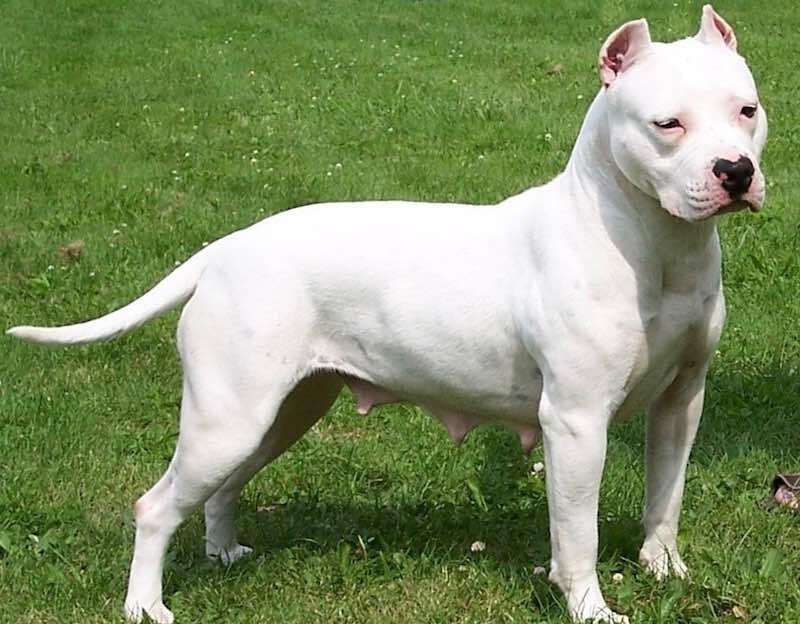 Pitbull (American Pit bull Terrier) (APBT) was produced as a result of breeding Old English Bulldogs and Old English Terriers which came from Ireland and England. The British and Irish used Pitbulls in dog fighting and blood sports such as bull-baiting or bear baiting. 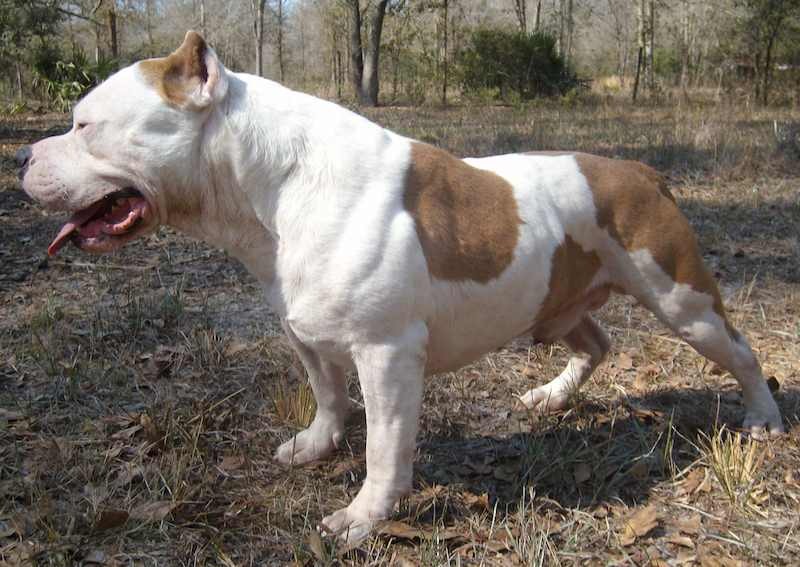 Dog lovers bred the Pit Bull to be a hunter, then a catch dog, and finally a fighter. The English and Irish pitted bears and bulls in bloody competitions against dogs. They placed bets on such cruel competitions. Eventually, society outlawed bull-baiting and bear-baiting out of concern for animal cruelty. New laws forced fans to go underground. Since bulls and bears are large animals and were hard to conceal, gamblers began to pit dogs against each other. Dog fights are now illegal in USA, UK, EU and most other developed nations. 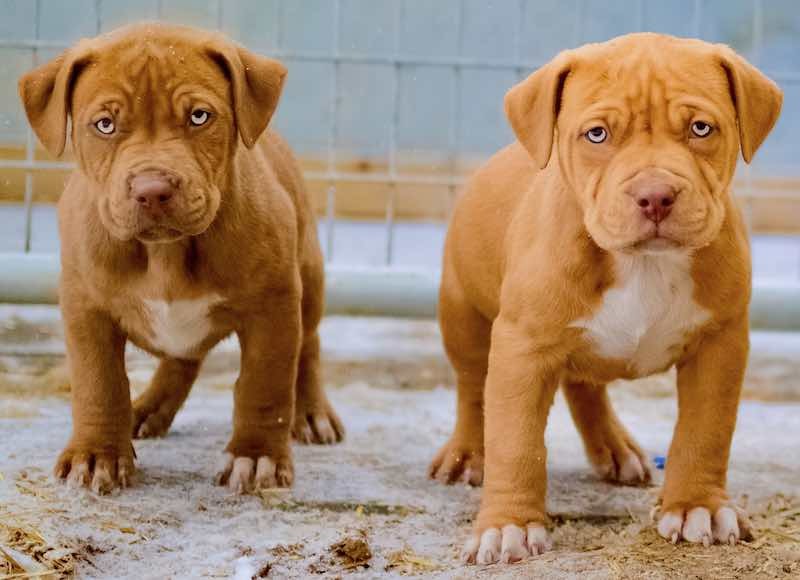 At K9 Research Lab, we adore the Pitbull and on this page, you will find in-depth information on this wonderful dog breed. Buying or adopting a Pitbull puppy is a big decision which will change your life for years to come. You will certainly research this breed thoroughly and read about Pitbull facts, myths and other lists before buying or adopting a dog. Before forming opinions, it is important to note that each dog has a unique personality. Dogs of a certain pedigree do possess a predictable temperament. However, this is a breed which is rather shaped not born! Therefore, do not jump to conclusions about how your future dog will behave based on generalized information about this breed. You will be shaping your dog and only you will be responsible for your Pitbull’s temperament. Any dog can fight, but Pit bull breeders bred the Pit Bull for drive, intensity and the determination to win. 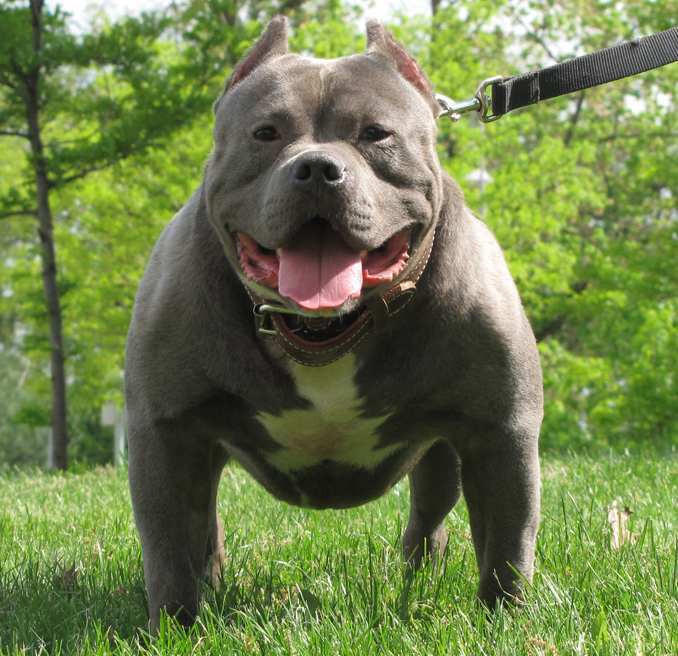 A Pit Bull may not start a fight, but has the genetics to finish it. Often, society blames the Pit Bull for the fight, no matter who started it. It is difficult, if not impossible to love or train the fighting gene out of a dog. Even dogs not bred from recent fighting lines can have the urge to fight arise at any time. 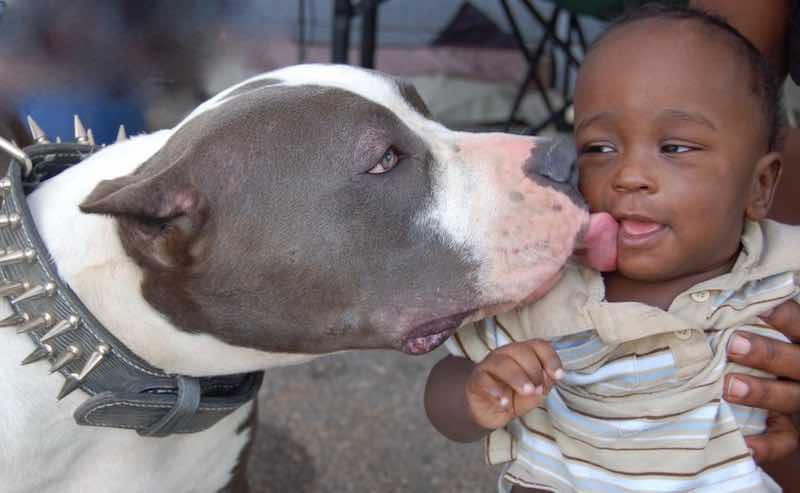 By nature, Pit Bulls are very good with people. Do not be confused between dog aggression and people aggression. Unless you buy or adopt a very poorly bred and raised Pit Bull, it should not attack people. In the ring, a well-raised dog has to obey its master and back off on command. The APBT connects emotionally with his owner. This breed observes every activity carefully. They have the ability to mold themselves to best suit their owner’s lifestyles. An aggressive owner’s dog will become aggressive and a cowardly owner’s dog will almost always be nervous and scared. It is important to be a good example and a responsible owner to raise the perfect Pitbull dog. 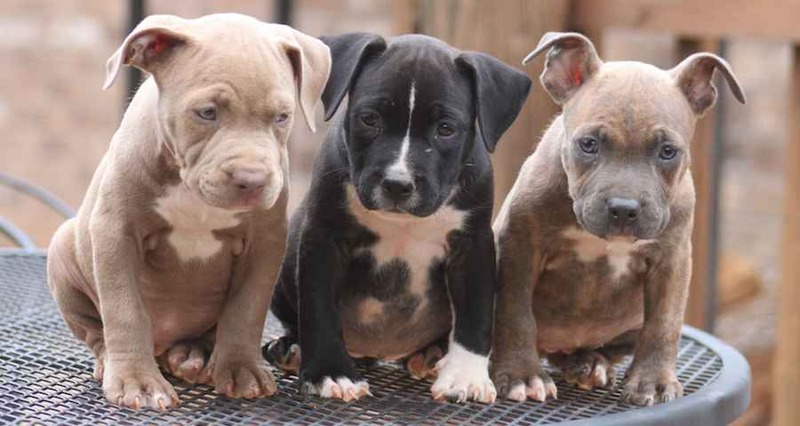 APBT dog breed is a sturdy companion with a strong will. It is a breed that is loyal to friends and family. With guidance from its handlers, they are obedient and show a high desire to please. However, when left without direction they can become stubborn and may become aggressive. American Pitbulls account for a majority of fatalities in the US among all dog breeds. The breed with the next-highest fatalities is the Rottweiler. However, a well bred and brought up APBT should possess a stable and dependable temperament. They love to please their masters and their family. The APBT is more touching and emotional towards his people as compared to other breeds of dog. 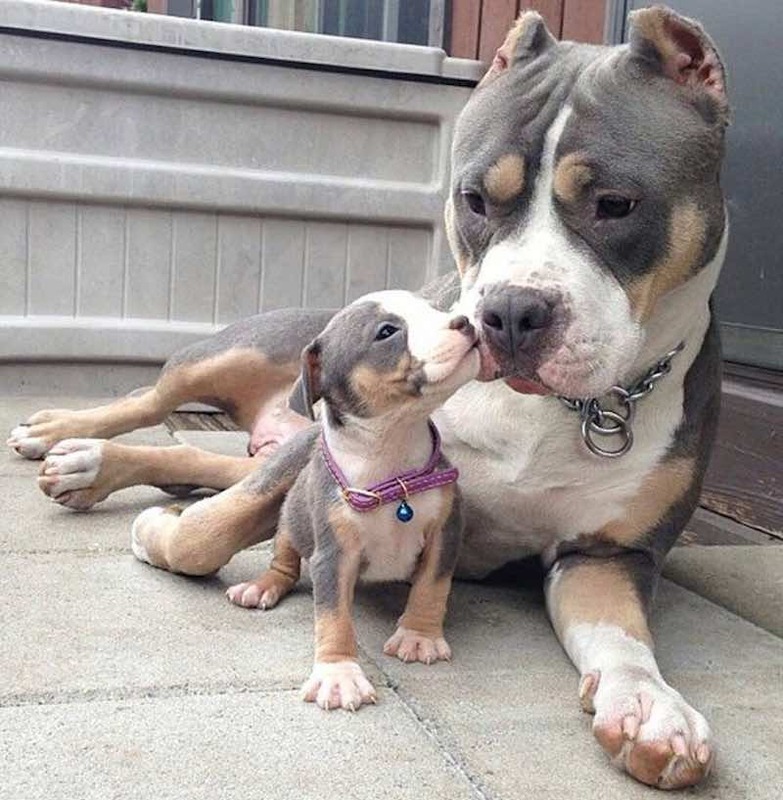 Pitbulls are a favorite amongst dog lovers as guard dogs for their courage and strength. These dogs are sporty, lively and need daily exercise or walk to maintain their fitness. A well raised APBT does not attack humans without any reason but can sometimes turn out to be violent towards other dogs and animals. General Appearance: Strong jaws, broad skull, and a lean body. Pitbulls can have any color. Males have a height of 18 to 19 inches, females are 17 to 18 inches. Weight ranges from 16-27 kg / 35-60 lbs (for male) and 14-23 kg / 30-50 lbs (for female). Red Nose Pit Bull is a popular trend. Historically called Old Family Reds, the Red Nose was developed in Ireland. 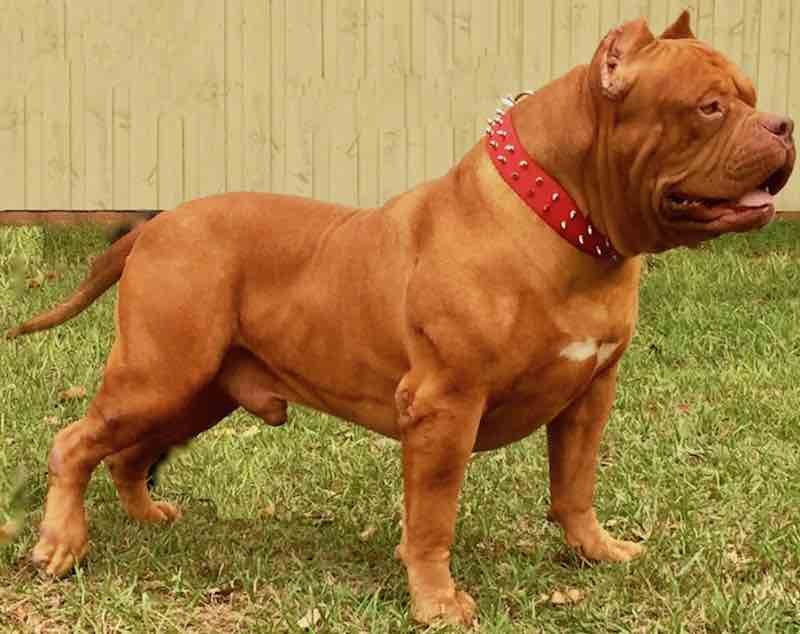 A true Red Nose Pitbull will have a red coat, copper red nose, red lips, red toenails, and red or amber eyes. These traits are recessive. 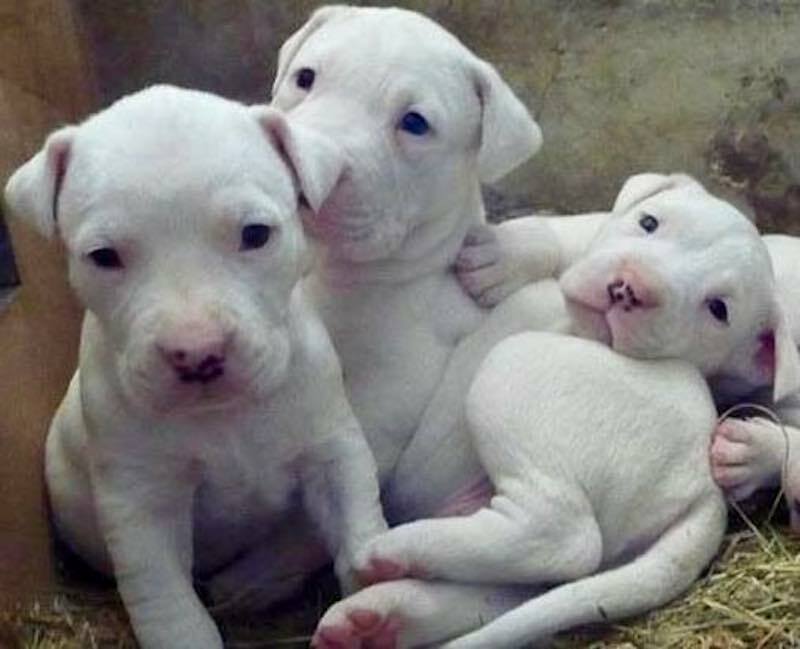 The only coloring of a Pit Bull found less often is a white Pitbull. To attain the Reds, dogs were recessively bred. Reds are known for their gameness and therefore are popular in the rings. Exercise and Obedience: This breed requires early obedience training. This breed generally has a lot of energy and a high prey drive. They need exercise and stimulation in order to channel their energy properly. Every Pitbull owner should have a firm, even hand. Sturdy, energetic, and tolerant, they are ideal playmates. That said, the owner should not let the dog play unsupervised with children. After dogs reach sexual maturity, they may begin to test the possibility of becoming the pack-leader. The owner should regularly crate or kennel dogs before this age (about 18 months). Believe it or not, the Pit Bull makes an excellent house dog. It’s medium size, and coat which sheds very little, make it desirable to keep. The Pit Bull is intelligent and eager to please, and therefore, is responsive to training. Owners must use common sense and make sure not to set their dog up for failure by putting them in the wrong situations. By taking precautions, such as never leaving a Pit Bull unattended with another dog, a Pit Bull and other dogs can peacefully coexist. The owner must commit to taking these, and other, precautionary measures to help keep the peace. Don’t allow children to pull on a dog’s ears or tail. Teach them never to approach any dog while he’s sleeping or eating or to try to take the dog’s food away. IMPORTANT: If you have a Pitbull or are planning to get one, you must be a responsible owner with a firm hand. You must learn about your bully’s body language and the signs that he is getting ready to fight. This will prevent many untoward incidents. 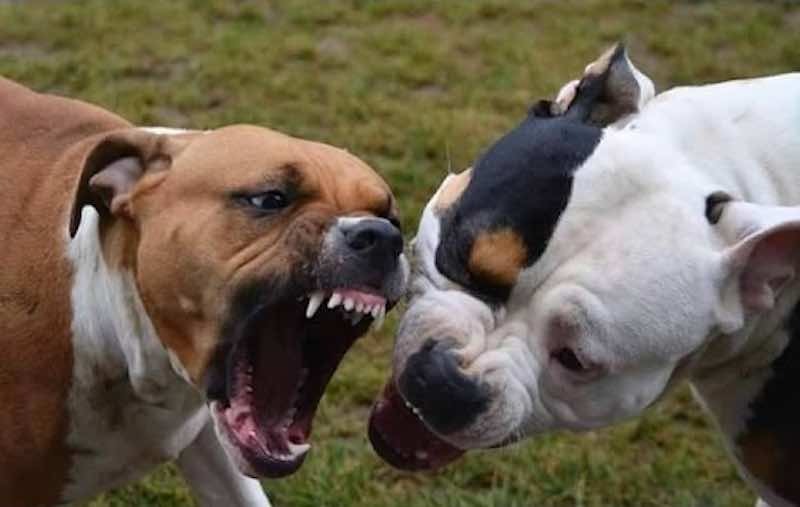 Some dogs have a tendency to be aggressive with other dogs due to their fighting heritage. Breaking up pitbull fights and pitbull attacks on humans or other animals can be very difficult. Socializing and training young dogs can minimize or even overcome such aggression. Many specimens are dog and cat-friendly. However, just to be safe, the owner needs to supervise all activities with unfamiliar pets, children, and strangers. Why is the Pitbull banned? Some states/countries consider certain dog breeds to be potentially dangerous to people, children, and pets. Added to this, size and strength, which can present a serious risk to people if they do attack. Also, some Pit Bull breeders breed dogs for illegal dog fights – a practice that definitively makes dogs aggressive. 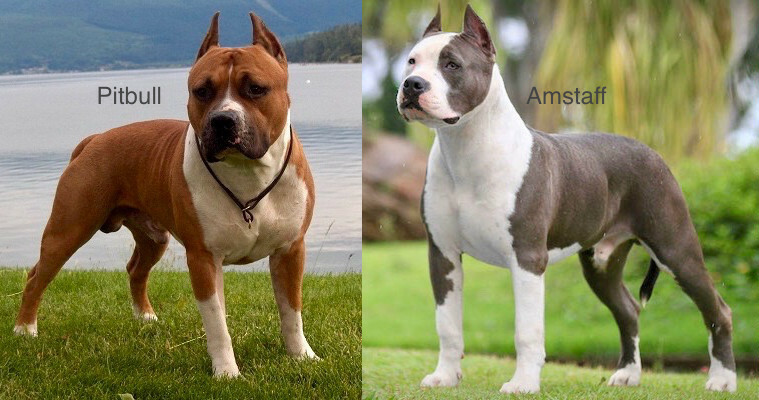 Pitbull vs American Staffordshire Terrier comparison: The Amstaff is larger, heavier, stronger and generally more muscular looking than the pitbull. The pitbull excels at agility compared to the American Staffordshire Terrier. Both have a high tolerance for pain and are extremely protective of their family and property. The Pit Bull has proven itself to be an excellent companion for anyone willing to learn about the breed. Unfortunately for these loving and lovable dogs, there are many who view them as a hazard and a threat to the community. The threat comes from the humans who are irresponsibly breeding and fighting these dogs. Viewing them as nothing more than a commodity does the breed a great disservice. The community needs to look beyond the reputation, past the bad press, and into the heart of a Pit Bull, and remain objective. Perhaps the bad press needs to be redirected to the people who are giving the dogs a bad name.